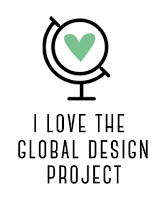 Evening crafters, so its day 4 of my challenge to myself and im just about keeping up! 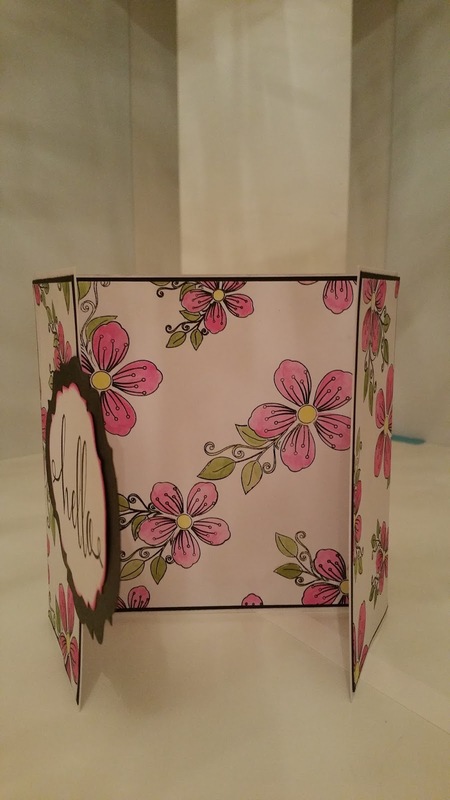 Today i have done a gate fold card, which is a simple base but have used stamps to create a background. 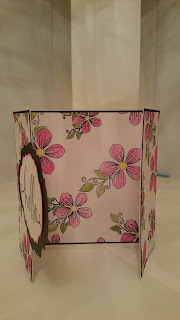 Sometimes its nice to use stamps for other things rather than to make a topper for the front of a card. 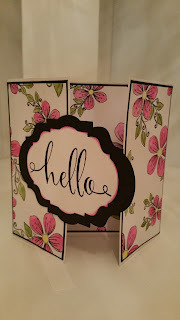 To start i made the base card from a piece of cardstock that was 12" x 6" and scored along the long side at 3" and 9"
Then i stamped flowers randomly on a sheet of a4 paper in black ink. 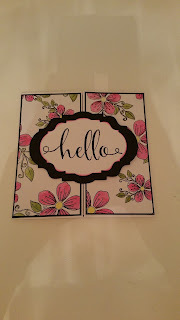 I matted them onto some black card and attached them to the base. 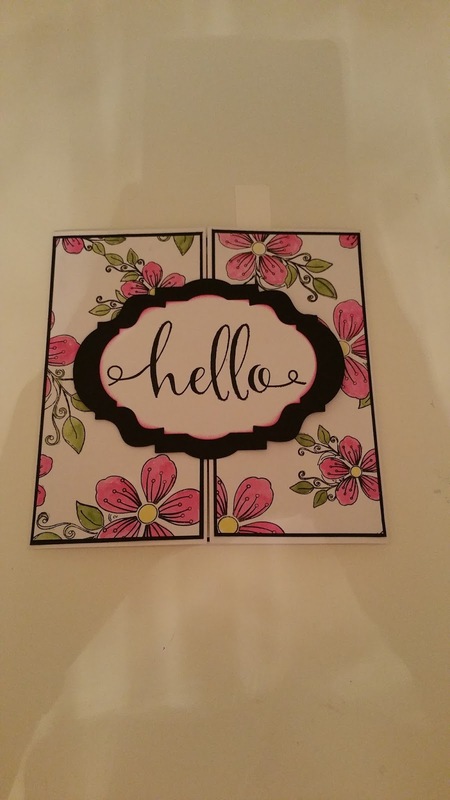 I used my aqua painter and some distress inks to colour in the flowers. 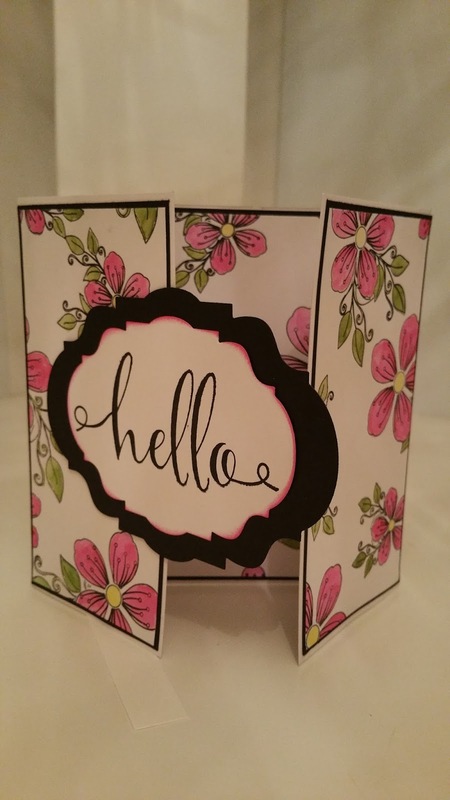 Finally i stamped hello and die cut it out and added to the front.